While we’re waiting for the US Airways and American Airlines merger to officially go through (most likely no later than the end of 2014) it’s time to take advantage of any lucrative US Airways promotion before they disappear. 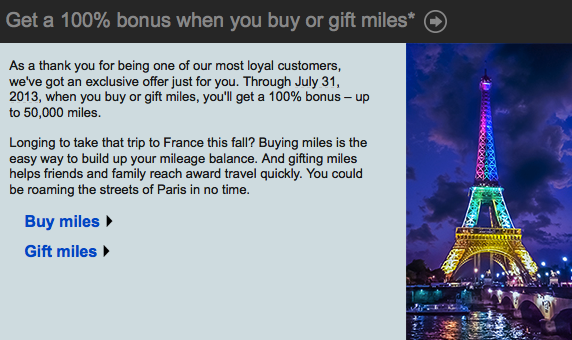 The current promotion is that if you buy or gift up to 50,000 miles, you will receive a 100% bonus. 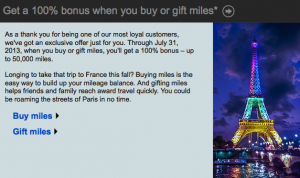 So if you end up buying the maximum amount of miles eligible for the promo, which is 50k, you will receive 100k points. This could very well be the last big promotion US Airways will offer before the merger actually happens and it’s a rather good one. The offer is good until the end of July. To purchase US Airline miles with the promotional offer, you must do so through their website and you must already have established a Dividends account to be eligible. 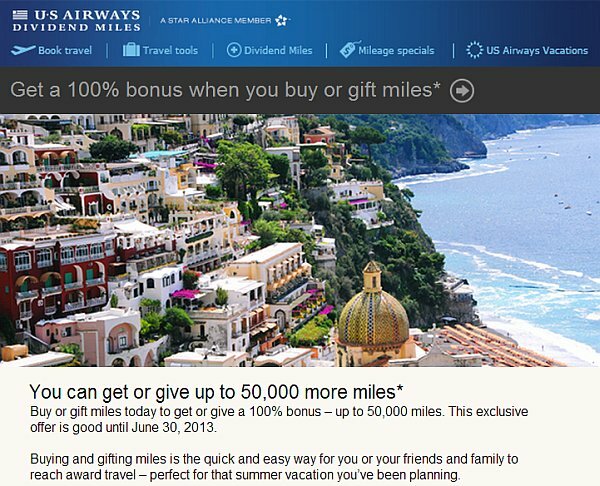 If you’re wondering if there’s any point in investing in US Airways miles before the merger, the answer is yes, because you will be able to redeem them for American Airline flights after the merger is complete. If you want to travel before the miles are converted to AAdvantage miles, you can book on any of the 28 Star Alliance airlines since US Airways is still currently part of. If you’re looking to get the most value out of your points, for 100,000 miles you can book two round trip tickets on economy heading to Europe or look up points redemption with partnered airlines. Each mile costs $0.035, so if you purchase the maximum allowed miles to get 100,000 miles , you are looking to spend $1,881.25 out of pocket at about $0.019 per mile. Keep in mind that there is also a 7.5% transaction fee in addition to the cost. Buying points is usually not the best option because you end up paying the airline more than what the miles are actually worth plus a transaction fee from the airline. But with this promotion, your spending a little under 2 cents per mile. Since a roundtrip economy ticket to Europe can easily cost $1,200, you can get a minimum redemption value of 2.4 cents per mile and potentially a lot more if you book a more expensive flight in business class. 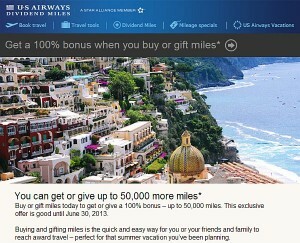 To take advantage of this offer, you need to have a US Airways mileage account 12 days before purchasing the miles. 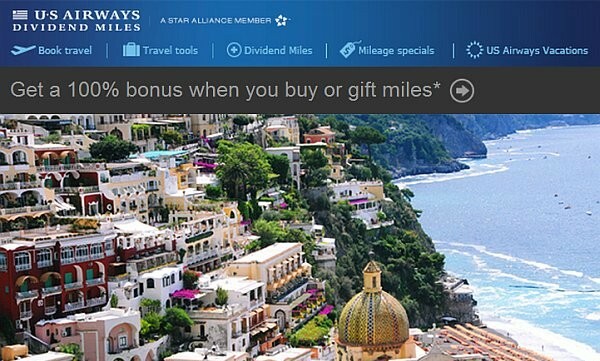 Any miles purchased over 50,000 miles are not eligible for the bonus so if you’re looking solely to double what you paid for, then stick to the 50k cutoff. Remember, the last day to purchase miles is July 31, so if you are even considering to purchase the miles, make sure to create a US Airways Dividends account 12 days prior or else you will miss out on the offer.